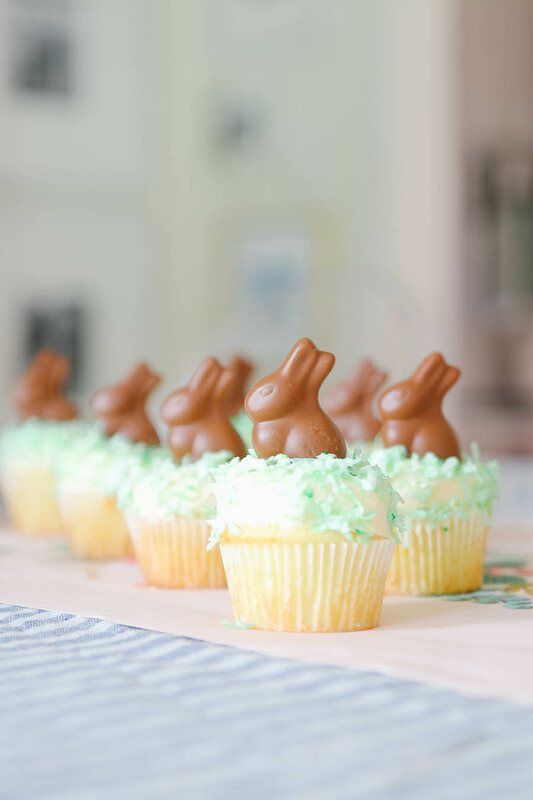 These Chocolate Bunny cupcakes are perfect for Easter! And the best part is they are super simple to make. All you need are cupcakes, miniature chocolate bunnies and some coconut “grass”. They are perfect for your Easter dessert and the kids will love to help decorate them too! Whenever I am hosting a holiday meal it seems like I am always running around at the last minute trying to find a quick and easy dessert. For some reason the dessert is always last on my mind even though it’s my favorite part! 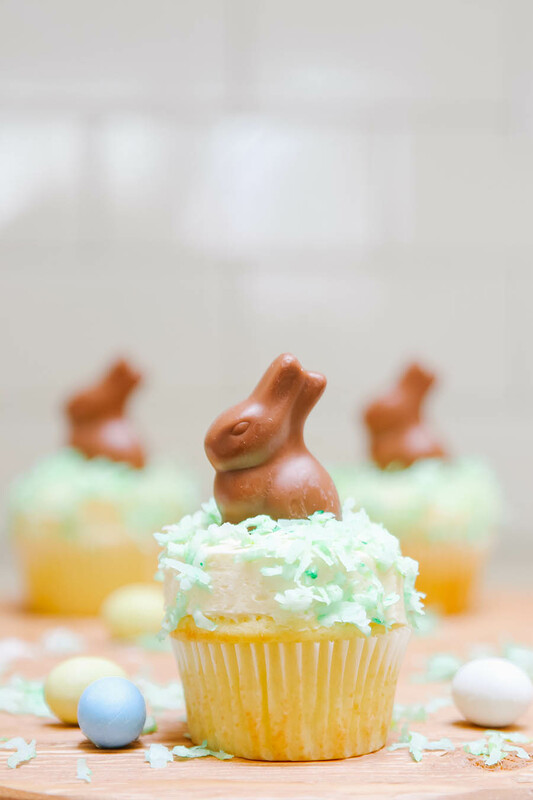 This year I decided to make a simple cupcake with buttercream frosting and top them with these adorable chocolate bunnies! And the icing on the cake (pun totally intended) is the coconut grass! A quick and easy Easter dessert that offers plenty of room for interpretation! Make these cupcakes in whatever flavor your family loves the most. A carrot cake with cream cheese frosting would be absolutely fitting for Easter brunch, don’t you think?! 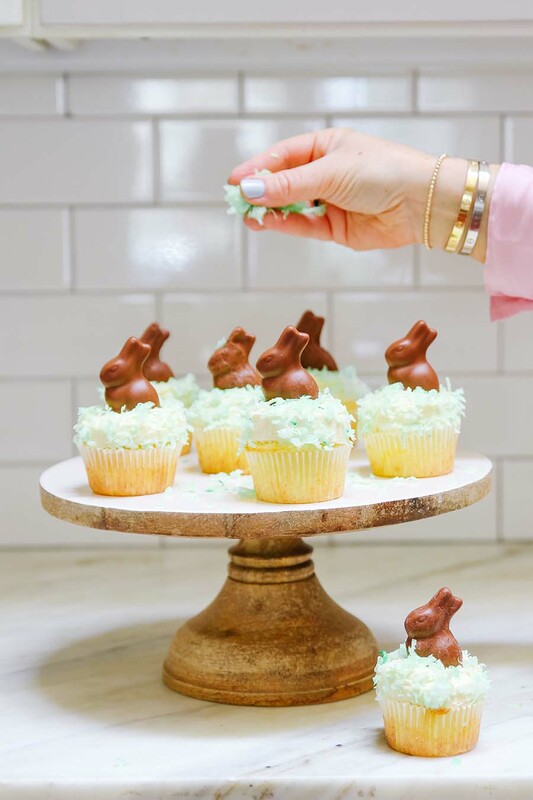 I will show you how easy it is to make these cute chocolate bunny cupcakes and I know they will be a hit for your holiday celebration! 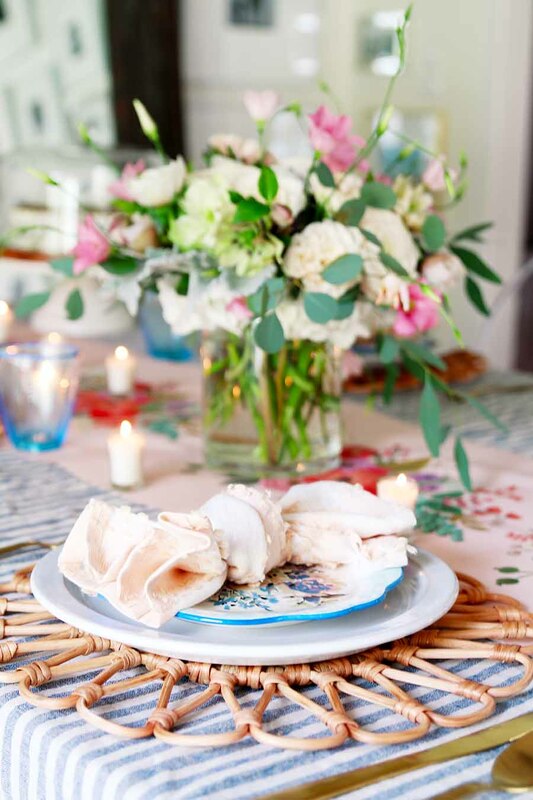 And if you are looking for Easter table inspiration, be sure and check out my Pink and Blue Spring Table! The beauty of these Easter cupcakes is that you can literally make them in any flavor that you want. I used my favorite cupcake recipe from Key Ingredient for basic vanilla cupcakes. I love this recipe because it uses pantry staples, nothing fancy that you would have to go to the store for. And for the frosting, I love a good buttercream frosting. Again, nothing fancy or out of the ordinary. This recipe from Nums the Word is a great one and always makes for the perfect consistency of frosting for your cupcakes. 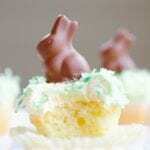 I used sweetened shredded coconut to make the cute grass on the chocolate bunny cupcakes. The easiest way to make coconut grass is to take your coconut and put it in a ziplock bag. Place 2-3 drops of green food coloring in the bag (or whatever color you want your grass to be). Seal it up and shake the bag until the color is evenly dispersed. 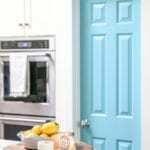 You may also need to add a teaspoon of water if the color is having a hard time mixing well. And adjust the color as necessary. Depending on the amount of coconut you are using, you may need to add a few more drops of food coloring to the bag. 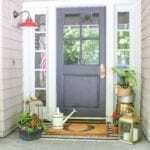 But really, this method is pretty simple and only takes a few minutes to do! 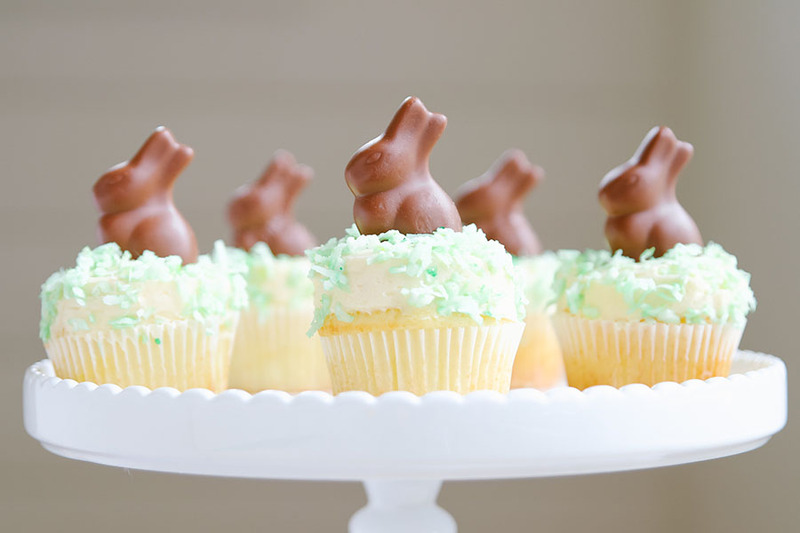 So, now that we have the basics down, let’s talk about the decorations for these chocolate bunny cupcakes. Once your cupcakes are frosted, sprinkle a little bit of the coconut grass onto each cupcake. Then stick a chocolate bunny in the middle of the cupcake and you are done! 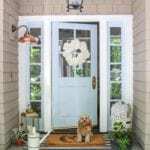 So easy and so incredibly cute! Make cupcakes and frost them. Make the cupcakes. Once they are cool, frost each cupcake. See notes below for links to the recipes I used. Place shredded coconut in ziplock bag. Place 1-2 drops of green food coloring in the bag. Shake well until the color is dispersed. Use more of less food coloring based on the shade of green you want to achieve. A little goes a long way! Sprinkle the shredded coconut grass onto each cupcake sparingly. 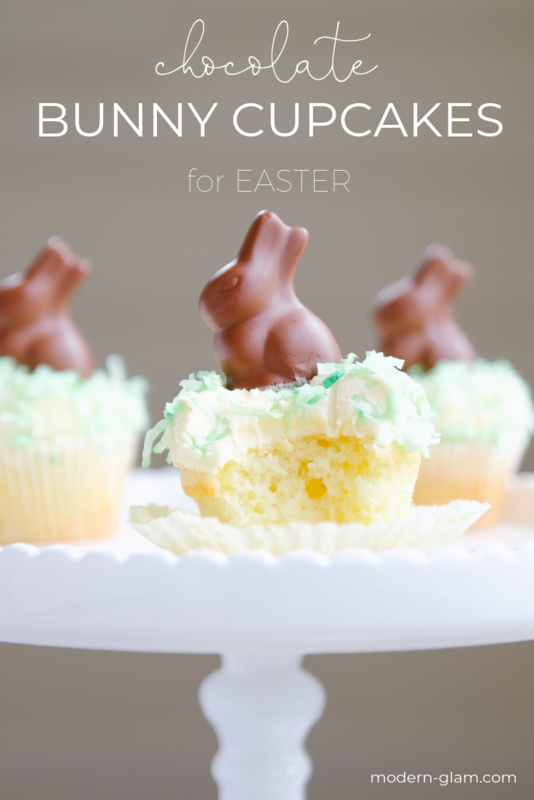 Top each cupcake with a chocolate bunny candy. For the cupcakes, I used this recipe for Basic Vanilla Cupcakes from Key Ingredient. For the frosting, I used this recipe for Homemade Buttercream Frosting from Nums the Word. A few of my friends are also sharing their Easter desserts today. 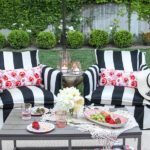 Check out these delicious looking recipes! Janine made these incredible looking French Macarons. The pink gets me every time! 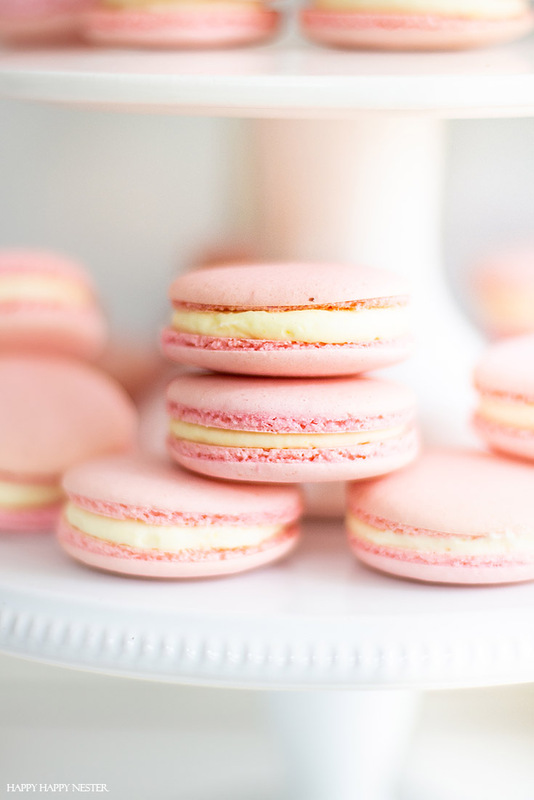 These would be perfect for Easter brunch, don’t you think?! 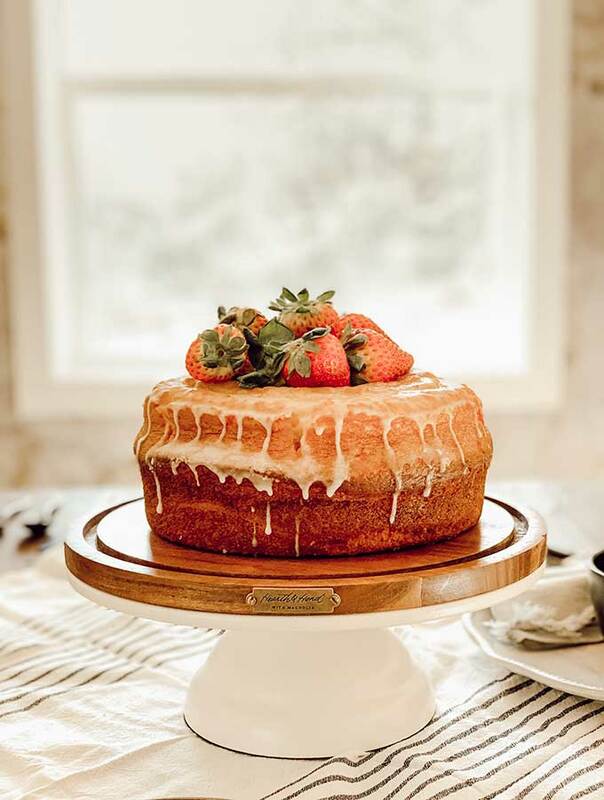 Lemon desserts are my favorite and this Lemon Bundt Cake shared by Rhonda looks so easy and perfect for Easter. 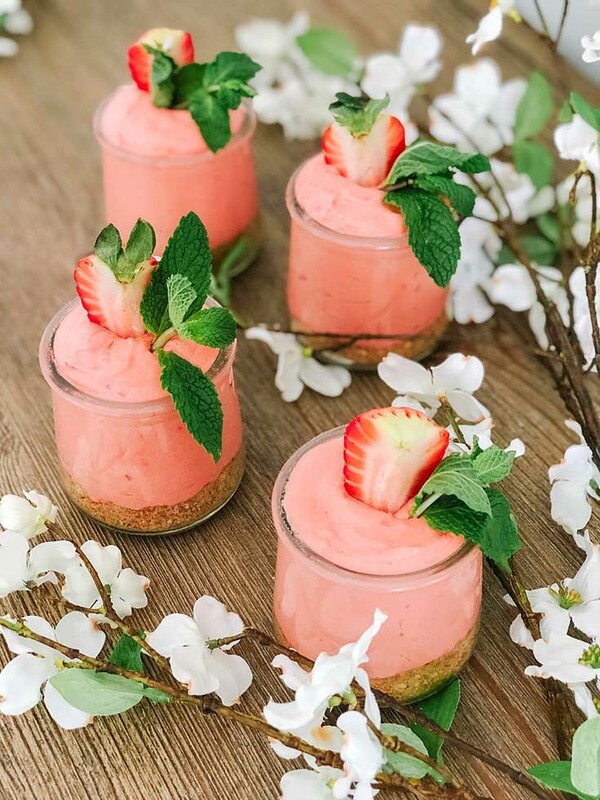 These Strawberry Cheesecake Mousse Parfaits look so darn good! 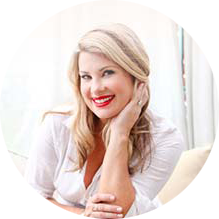 My sister Jen has so many great recipes on her site. 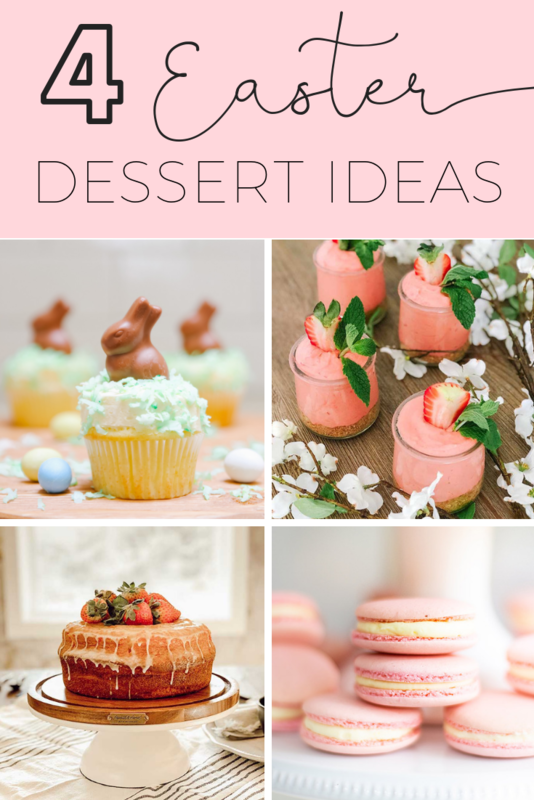 So if you are looking for more Easter dessert ideas, be sure and click the recipes tab on her blog! These are the cutest!!! I pinned them to my spring and recipe boards. Can’t wait to make some!